Take the fast lane to reach your audience worldwide! Web hosting Thailand welcomes you to take a brief look at our web hosting plans. Our web hosting services could cover all your web hosting needs ranging from dedicated servers hosting to hi-speed shared web hosting services. We use only new servers with the latest technology of hardware to serve you in conjunction with a high speed data center. 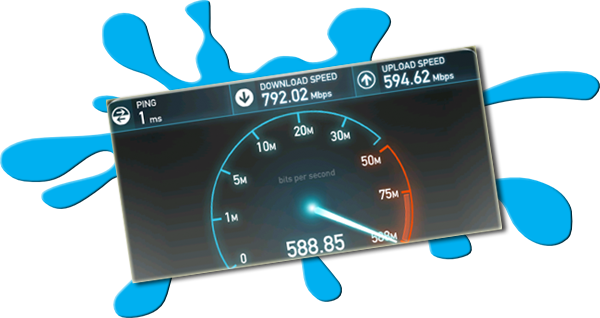 We have been rated A+ , that is faster than 99% of Thailand as tested with speedtest.net. Your web sites will be responsive and always available to visitors in your home country. We are giving away free SSL for all domains. Using https to encrypt your site making it safe for your online transactions and building trust for your customers and site visitors. You do not need to pay for the additional annual fee for this feature. This privilege is currently available for Ultra Hi-speed web hosting plans only. We are giving away a free domain name (.com .net .org .info) for our customers who use packages other than the starter plans. You do not need to worry about paying for your annual domain name fee for good during your service with us. For those customers who choose the starter plans, we waive the domain name fee (value 450) for the first year. 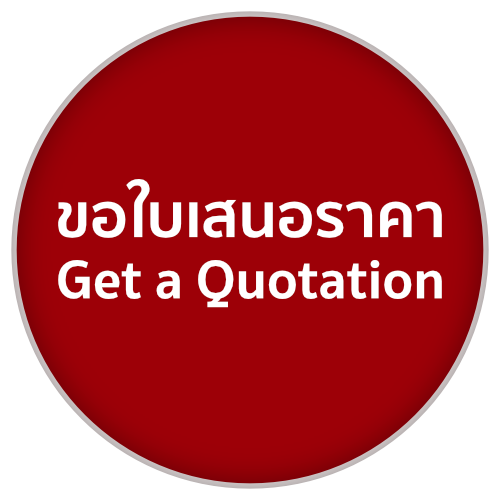 If you go with .th extension like .co.th .ac.th .go.th .net.th , you will need to to pay the domain name fee on your own (856 Baht per year) You may optionally request us to do the registering process with www.thnic.co.th at no additional cost. In Linux plans, a bundled control panel with SitePad, a professional site builder tool (Ultra Hi-speed plans only) and over 300 ready-made scripts making it super easy to build your website in minutes. Web Hosting Thailand has higher bandwidth than other web hosting providers. Our plans are affordable, pick the one the suits you best. Browse your favorite ones on links above and order now. Look no further. SitePad is a web builing tool with plenty of professionally designed templates ready for your online business of all types. With just a few clicks, you can start your online business with a professional looking website in no time. No programming experience needed and no need to have a designing background to use this tool at all. It's exclusively free for all of our Ultra Hi-speed Web Hosting plans. Our servers are compatible with many open-source scripts like WordPress, Joomla, E-commerce shopping scripts, etc. 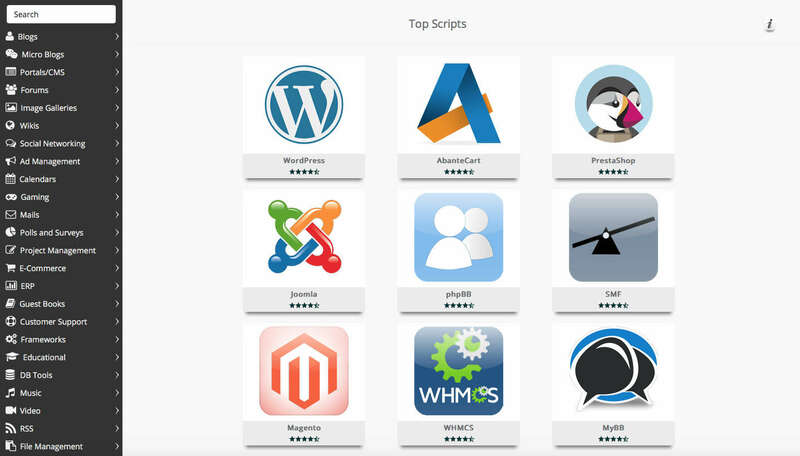 You can safely install those scripts onto your website in one click. We have more than 300 scripts to choose from. Choose the one that is vital to your business. The auto-installation process is quick and easy, no technical knowledge required. You will be able to setup and run your business in a few hours. Please note that the starter plans, (i.e. 4GB Ultra Hi-speed or 20GB ECO Hi-speed) will have less choice for auto-install scripts (limited to about 100+ scripts) whereas more than 300 scripts available for all other higher plans. No matter where your customers are in the world, they will be able to browse your websites with speed. Our TOT IDC provides us with high-bandwidth ability that could serve international customers just like the servers are next to your neighbour. We use only the newest server technology of Dell, for example, instead of using a SATA hard disk drive (7200RPM) we use server-graded hard drives (SAS-15000RPM) which are double the speed of home-graded hard disks for our shared web hosting and mail servers. However, if you are looking for a large space we also have affordable economy packages. Our international bandwidth is as high as 200Mbps (download and upload speed) and 1Gbps for domestic, setting us apart from other hosting providers which is limited to only 1-5 Mbps. This is the real bandwidth through our Gigabit connection switch. Our network is among the fastest, above all other web hosting operators. We have website building tools making it super easy to build your site up and running in a few minutes by using our professional templates or free open-source scripts. High bandwidth is the key to your success in online business. One of search engine's key factors to score your site is speed and speed. It has never been something else. Our customers ranging from public companies, leading universities, schools, government organizations, hotels , resorts, restaurants ,etc. Some of our customers transferred from other web hosting companies have been with us more than 5 years. They are happy to stay with us because we have high availability in serving web pages 24/7 in the whole year reaching visitors worldwide with speed. If you are a first-time user or disappointed from other providers, you may consider one of our web hosting packages. Choose the one that is right for you. Recent screen shot of download speed test with speedtest.net from our Windows 2008 R2 server. Making a successful business only with Web Hosting Thailand. We have a dozen of servers and plans, making it affordable for everyone. You may choose to upgrade your web hosting plans when you need more capacity or storage space. We will charge you only for the remaining period less the fee that you already covered. No surge in prices. No hidden fees. You do not need to worry about hidden fees. We do not restriction on bandwidth for each month. Even if you you exceed our preset limits, we do not suspend your web site or charge additional fees. As long as you are using the site for business and follow our policy, the sky is the limit. Our service is straightforward and simple. You can easily define your annual budget from the start. We have a dozen of servers to serve you with large bandwidth for both domestic and international traffic. This adds up to our operating cost but it is good for a customer like you to have a server available for backups. Prices may be one of the options to choose a web hosting company but the cheapest has never been the best. This saying is always true in any case. You should never consider using a cheap provider with less stability that might put your business to risk. That means your money that you should have received from your customers during downtime is gone, for example. Of course, we cannot pinpoint to the conclusion as to which one is best for you, but cheap web hosting prices should not be the main factor to settle on your site. We have a variety of options and prices. Choose the one that is right for you. Make your choice. As an added confidence for online transactions of any type, you probably need SSL certificate of your choice to verify your online presence. We have various SSL issuers and types to choose from. Make your choice with the one that suits your budget and business. Then, you will be able to use the https (encrypted) instead of http (normal text) to increase security for your website. SSL certificate issuance requires a fixed IP address to tie up with your domain name. We provide you with a dedicated IP address at 300 Baht per month. You will definitely gain your customer's trust and confidence. Once payment received, your domain and web site will be ready within an hour or the same day. The overall process is usually within an hour or same day of your order to make everything ready. You will receive the credentials to access the server and administer your web site. If you want to register all .th suffix like .co.th .ac.th .in.th .go.th , you need to provide additional documents to send to the domain registrar (www.thnic.co.th) for approval along with your domain fee payment. If you are transferring your site from other web hosting providers, please login to your web site using IP address links and configure your E-mail addresses and transfer your contents from the old provider. Test your site using IP address that we assigned to you and once everything is ready, login to your domain controller and change your DNS (Domain Name Servers). Normally this process is recommended to do after the end of the day so that your site will be completely transferred to us on the next morning. DNS propagation all over the internet will gradually be updated within 6-48 hours after DNS modification. This depends on cache setting of each internet provider along the route to your premise. Alternatively, you may access the old provider by IP address to retrieve your E-mails that may have left in the inbox during the first 24 hours of change. The core success of every online business comes from speed and stability accounting for almost 50% of success rate and the rest is your imagination to build up your dreams. Web sites hosted by a high-speed hosting company with large bandwidth will sure to soar high in the Google ranking. As a result, you receive more traffic and visitors from the search engines. Search engines will normal crawl to index your site once a week or more often. If your hosting providers are busy during such index time, your site will be queued up for the next index. If this situation happens again which is usually the case, your site will be cancelled for the index queue and your ranking will drop eventually. If you choose to establish your web sites with a low-bandwidth web hosting company, you are in the risk of 50% failure in your online business. Order Now and Get Your Business Up and Running in No Time. All rights reserved by Amiplay Co.,Ltd.